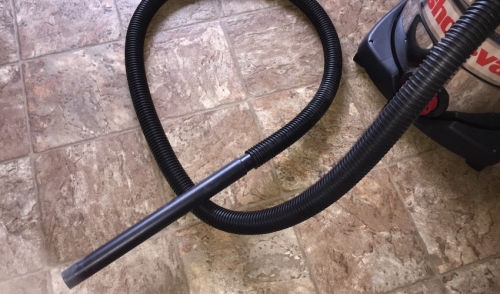 Share " The Versatility Of The Wet/Dry Vacuum"
If you’ve got a lot of water starting to come up and you don’t have a sump pump handy, a wet/dry vac is your next best option. Some have a plug in the bottom that you can put a hose in to help direct the water outside. If you have to empty it out manually, remember it will be considerably heavier with the water in it. If you don’t want to mess with a pipe snake when unclogging your drains, the wet/dry vac has the potential to assist you with that. Set the vacuum to its blowing option and get it as far down the drain that you can without getting it stuck. Often times, it can jar loose gunk that’s stuck and give your drain a good flow again. If snow seems to always get stuck on your boots when you come into your house, wiping it up with paper towels can be a waste and even using dustpans can still leave the floor wet. The wet/dry vac can solve both problems and make it a quicker clean-up. This may sound weird at first, but your wet/dry vac can be used to help pick up leaves. This way you’ll save on bagging time and when the machine fills up, you can just add the leaves to your compost pile.